Vitis (grapevines) is a genus of about 60 species of vining plants in the flowering plant family Vitaceae. Grape vine is easily one of the most identifiable plants in the world, adding to human health and happiness since the dawn of hunter-gatherer societies. 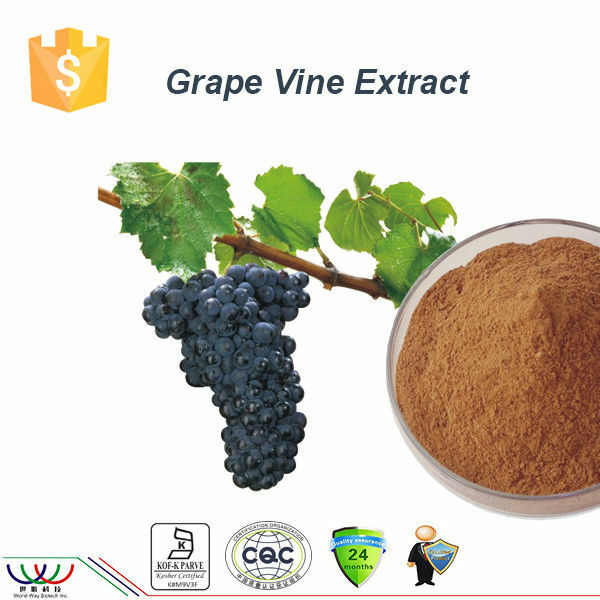 Name: Grape Vine Extract Latin Name: Vitis vinifera L.
Air-tight original sealed container, low relative humidity and dark conditions.